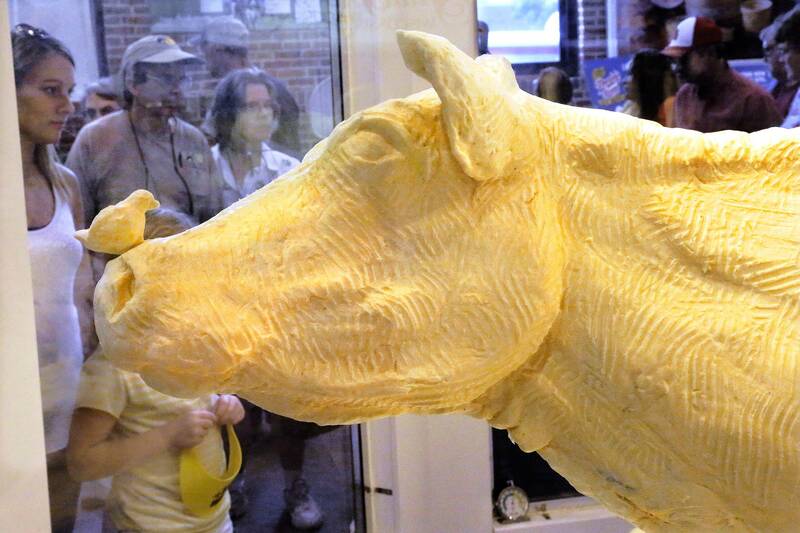 Sculpting a cow out from butter is a beloved state fair tradition. This is how it's done. The average cow weighs 1,600 pounds. A butter cow weighs far less, but can still tip the scales to 650 pounds. Shaping a lump of butter into a life-sized cow is a tradition at state fairs from New York to Utah. Here in Illinois, a butter cow has been on display in Springfield almost every summer since the 1920s. This year’s version will be unveiled Thursday at the Illinois State Fairgrounds. Three butter sculptors dished on what it takes to create a cow from the slippery spread. Sarah Pratt crafts the sculptures for state fairs in Illinois, Iowa, and Kansas. Alex Balz and Paul Brooke are part of a team that sculpts for the Ohio State Fair. Here's how the butter cow gets made. First, the artists determine what kind of cow they want to sculpt. 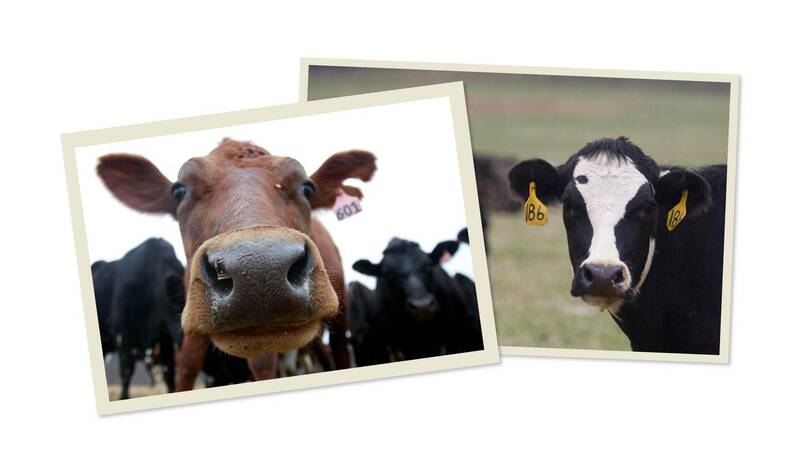 There are seven different breeds of real-life dairy cows, which vary in size and color. Once they've made a selection, the artists study pictures, videos, and maybe even spend time on a farm. Next, they sketch the cow's pose and any buttery scenery that will accompany it. Then, it’s time to sketch out the “bones,” known as the armature, which need to be strong enough to support hundreds of pounds of butter. The experts said they construct the armature from a variety of materials, including metal pipes, wood boards, hardware cloth, and chicken wire. Armatures can take up to four weeks to design and build, so they are usually made off-site. Once at the fairgrounds, the skeleton is put in a display case that is cooled to around 45 degrees. Sculptors begin by smearing layer upon layer of butter onto the skeleton. Pratt said building the base takes her about two days. Next, it's time to refine that mass of butter into a shape that resembles a cow. The artists use anything from their hands to cake decorating tools. When the fair is over, the cooler is turned off and the butter softens. Pratt said she helps pack her butter back into 5 gallon buckets, careful to smoosh out any air bubbles that could cause mold. Then, it's put in a freezer, where it waits for its next incarnation. Paula Friedrich is a digital producer at WBEZ. You can follow her on Twitter at @pauliebe.